Have you ever wondered how rich Nomar Garciaparra is, as of mid- 2016? According to authoritative sources, it has been estimated that Nomar`s net worth is as high as $45 million, acquired through his successful career as a baseball player, during which he also won several awards, including the AL Rookie of the Year in 1997. Nomar went to St. John Bosco High School, becoming a baseball star such that he was drafted by the Milwaukee Brewers out of the high school, but after matriculation he enrolled at Georgia Tech University, where he played for the university baseball team, which reached the College World Series title game, however, they lost to the Oklahoma University. In the 1994 MLB Draft he was drafted by the Boston Red Sox in the first round; however, he first played in the minor leagues seasons, before making his debut for the major league squad in 1996 against the Oakland Athletics. Since the first game, his dominance began, winning the Rookie Award that year, also the Silver Slugger Award and All-Star selection. He dominated both offensively and defensively for the next few years, becoming one of the best players of the Red Sox, however, in 2001 he injured his wrist, which kept him sidelined for a big part of the season. His defense numbers declined, however, he still managed to play satisfactorily with above average game numbers. His tenure at Boston came to an end in 2004, when he was traded to the Chicago Cubs, however, he didn`t stay long there, playing only one season and again battling with an injury, this time a torn muscle in his left groin. In 2006, he switched clubs again, signing a contract with the Los Angeles Dodgers, which kept him with the team until 2009. The new contract certainly added a lot to his net worth. While with the Dodgers, Nomar played a first base, his form began to come back, and as a result he earned a spot in the All-Star game in 2006. Furthermore, he won the NL comeback player of the year award. Following the end of his contract, he signed a one-year contract with the Oakland Athletics, which also increased his net worth. After a season at Oakland, he returned to Boston, and signed the one day contract with the Red Sox, as he wanted to retire as a part of the Red Sox franchise. 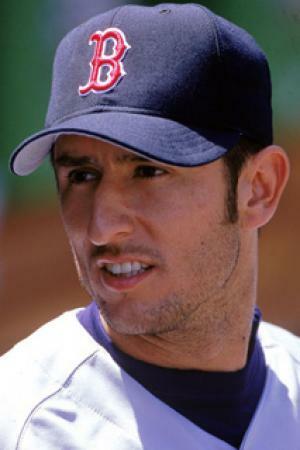 Nomar ended his career recording 229 home runs, a .313 batting averagem and 936 RBI.He was selected six times for the All-Star game, and was also twice the AL batting champion, in 1999 and 2000. Furthermore, he has been inducted into the Boston Red Sox Hall Of Fame. Nomar`s net worth has also benefited from his career as a commentator and analyst, having joined ESPN in 2010, and since then has contributed to several shows on the network, including “Wednesday Night Baseball”, and “Baseball Tonight”, among others. Regarding his personal life, Nomar has been married to Mia Hamm, a soccer player who won gold medals in both World Cup and Olympic Games, since 2003; the couple has three children.